Providence is a residential neighborhood in Wilmington, North Carolina. 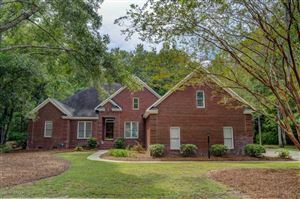 This private community has gorgeous luxury homes in a great location off Middle Sound Loop Road. Residents are close to several popular attractions including the Ogden Marketplace, Mayfaire Town Center, Lumina Commons, The Forum, and many more. Click on the listings below to see pictures, features, amenities, school information, and more. Interested in viewing a home or have questions? Please don't hesitate to contact us. We can help you with this community or any other in the Greater Wilmington real estate market.